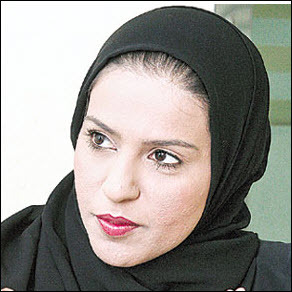 ‘Supporting local authors and publishers means boosting the UAE’s contribution to enriching Arab culture,’ says Sheikha Bodour bint Sultan Al Qasimi. The Khaleej Times’ Afkar Abdullah reports that Knowledge without Borders (KWB) has announced the launch of “1,001 Titles,” a plan to release 1,001 Arabic books over the next two years. 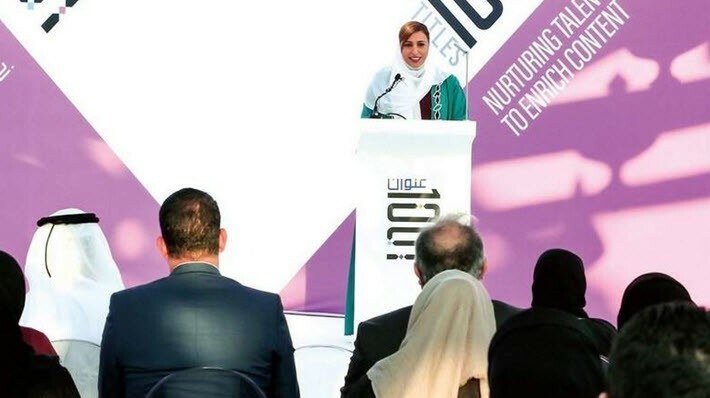 Kalimat Group founding CEO Sheikha Bodour bint Sultan Al Qasimi—Director of Knowledge Without Borders, and Founder and Patron of the Emirates Publishers Association (EPA)—spoke at the news conference in Sharjah where the initiative was launched. Sheikha Bodour will join Nielsen’s Jonathan Stolper at the International Publishers Association’s Congress in London on 10th April in a session titled “Creating the Readers of the Future.” And she’ll talk about her work in children’s publishing and Arabic literature at this year’s Publishers’ Forum Conference (#pf16, 28 to 29 April, Berlin) in conversation with Rüdiger Wischenbart. “This initiative is in line with His Highness Sheikh Dr Sultan bin Muhammad Al Qasimi, Member of the Supreme Council and Ruler of Sharjah’s directions to implement initiatives that ensure our cultural identity will continue to prosper. As a show of support for the initiative, the Ministry of Culture and Knowledge Development, working with Knowledge without Borders, will exempt authors and publishers from ISBN fees for books that are printed as part of the new program. “It is my pleasure to be with you today to launch this initiative, which will promote culture and reading in line with 2016 being declared the Year of Reading by President His Highness Sheikh Khalifa bin Zayed Al Nahyan. “The ‘1,001 Titles’ initiative is in line with EPA’s vision to ensure the sustainability of the publishing industry in the UAE and beyond. It also aims to support Emirati authors and encourage them to write more books, and seeks to support Emirati publishing houses to enrich local cultural assets. Rashid Al Kous, the general manger of Knowledge without Borders, went over details of the initiative, saying, “We have launched the official Web site of the initiative—www.1001titles.com—to enable publishing houses to send the content they want to publish. A special committee will select books according to set criteria. Applications will be accepted starting on March 1, and after the content is approved, 1,000 copies of each title will be printed with the cooperation of Abu Dhabi Media United Printing and Publishing Company (UPP). The printed books will be promoted at local, Arab and international book fairs and cultural festivals.